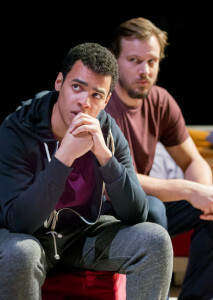 A year on from taking over, Paul Miller must be looking back on his first twelve months with huge satisfaction with awards for director Ned Bennett (for Pomona), Joel MacCormack for his performance in Doris Lessing’s Each His Own Wilderness as well as critical acknowledge with this year’s Empty Space Peter Brook Award. To round off 2015, Miller has brought back for a second run this co-Sheffield Crucible revival of one of his first commissions. Deborah Bruce’s acclaimed The Distance strikes at the heart of our notions of motherhood. 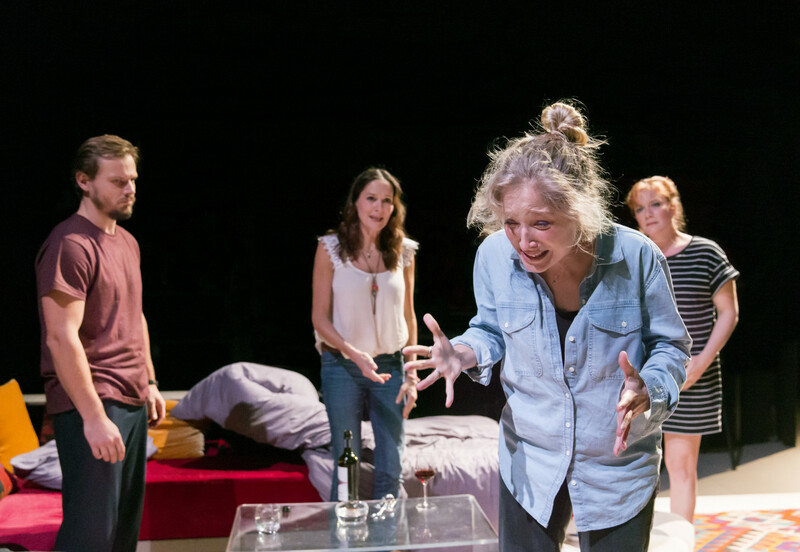 In a sense, like a latter-day Medea (without, yet, blood on the floor), Bruce asks the awkward question, what is motherhood, what do we expect of mothers? Do we expect more from them than fathers? Abandoning your children must figure high on the list of judgemental no-no’s. Mothers simply aren’t supposed to do such things. But what if, as Bruce’s Bea maintains, she’s not `good enough’ as a mother, challenging the present-day idea that precisely `good enough’ is ok.
Bruce weaves this central state – agonisingly portrayed by Michelle Duncan – around an exploration of female friendship, marriage and parental damage by introducing us to Bea’s best friends, the voluble, controlling Kate (the high octane Charlotte Lucas) and alcoholic Alex (Charlotte Emmerson), mother of Liam and two other unseen children by three different fathers – though that state of affairs goes comparatively unremarked. Set against a background of the 2011 riots, Bruce’s script is spikey, funny and occasionally frustrating in the Orange Tree’s in-the-round setting where the speed and blocking of director Charlotte Gwinner’s production and the overlapping dialogue can work against each other. 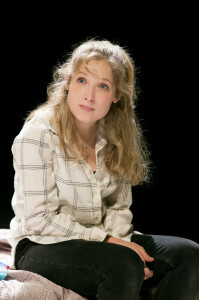 For all that, and Kate’s implausible damascene conversion suddenly reversing her marital bullying of ex-musician husband Dewi, such is Bruce’s ear for contemporary life, The Distance emerges as a telling and poignant play-for-today about motherhood, double standards, identity and an existential sense of being lost. Beautiful performances all round, especially from Duncan, Timothy Knightly as the Australian, Simon, who Bea meets by chance and embarks on the very big adventure that doesn’t work out and Joshua Sinclair-Evans making an impressive professional debut as Liam, a walking time bomb but sweet with it. The Distance is at the Orange Tree to Dec 19, 2015. This entry was posted in 2015, Reviews on December 7, 2015 by Carole Woddis.